Martin Garrix wears a green jacket while posing for the Spring/Summer 2019 advertising campaign for A|X Armani Exchange! The 22-year-old DJ stars in the campaign alongside Chinese actor Li Yifeng and model Selah Marley. The images were shot by Serge Guerand in Fuerteventura, an island in the Atlantic Ocean, in wide open spaces. Check out the full A|X Armani Exchange SS19 advertising campaign below! 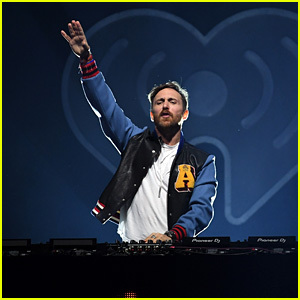 David Guetta: '7' Album Stream & Download - Listen Now! 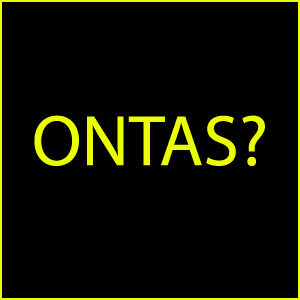 David Guetta is back with a brand new album called 7, which you can listen to right here! The renowned DJ-producer dropped his latest project on Friday (September 14). The collection includes collaborations with acts like J Balvin, Bebe Rexha, Anne-Marie, Jason Derulo, Nicki Minaj, Sia, Justin Bieber, G-Eazy and many more! 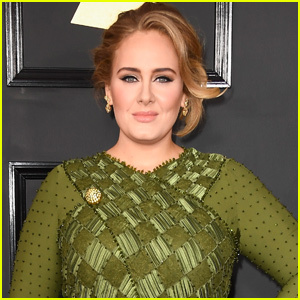 “The album is called 7 because it’s my seventh album which is crazy when I think about it, because that’s a lot of music. 7 is a magical number and represents a full cycle to me. When you’re just starting out as an artist you go step by step and it’s only positive energy; passion, love, challenges. And then the second phase if you’re successful is when you’re at the top and the energy changes to fear, because when you’re at the top you cannot go up any more. And now I feel like I’ve reached a third phase where I just want to put a lot of music out that I love. This is why 7 is a perfect name to me, because I feel like I’m going back to my original energy which can be heard in this album,” he said. Listen to 7 below! You can download and stream the album across all digital platforms. Martin Garrix, Selah Marley & Li Yifeng Star in Armani Exchange Autumn/Winter 2018-19 Campaign! Martin Garrix, Selah Marley and Li Yifeng are all striking a pose! 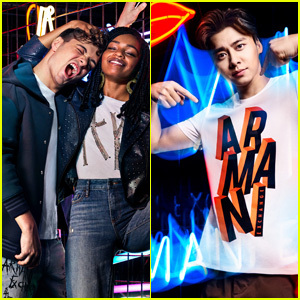 The 22-year-old DJ and producer, 19-year-old rising star and daughter of Lauryn Hill and Rohan Marley and 31-year-old actor all appear in the A|X Armani Exchange Autumn/Winter 2018-19 campaign, which debuted on Wednesday (July 11). “For this campaign, I chose model Selah Marley, and decided to renew our collaboration with musician Martin Garrix and actor Li Yifeng. Three versatile talents, capable of speaking to their peers. And then there’s me, representing the continuous dialogue between the Armani world and new generations, in pursuit of a free, casual and creative style,” said Giorgio Armani. See the campaign pics below! 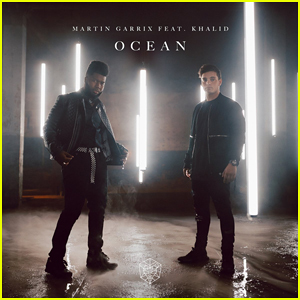 Martin Garrix & Khalid: 'Ocean' Stream, Lyrics & Download! Martin Garrix is back at it again with another fierce collaboration called “Ocean,” this time with Khalid! You can also stream “Ocean” on Spotify and download it on iTunes now! 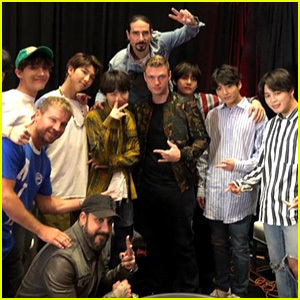 The massively popular “Fake Love” Korean pop troupe and the long-running “Don’t Go Breaking My Heart” U.S. boy band joined forces backstage at the Westwood One Backstage event over the weekend ahead of the 2018 Billboard Music Awards at the MGM Grand in Las Vegas on Sunday night (May 20). Cara Delevingne and Martin Garrix pose for a picture at the Armani Exchange “New Energy, Same Spirit” event on Saturday night (March 24) in Miami, Fla. 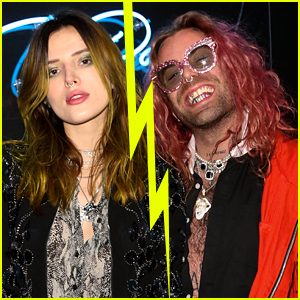 The 25-year-old model/actress and the 21-year-old DJ/producer were joined by Paris Hilton, David Guetta, and Desiigner. Cara and Martin star in the Armani Exchange Spring/Summer 2018 campaign and served as co-hosts for the night.